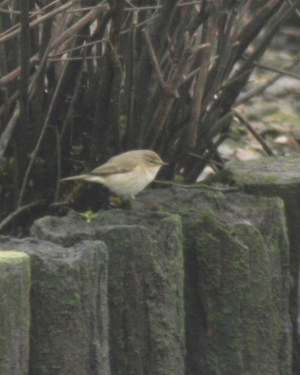 Observation - Bird - Willow Warbler - UK and Ireland. Description: Lousy light conditions and these were in a dark place by the river. There were three in a small group feeding along the riverside. Lousy light conditions and these were in a dark place by the river. There were three in a small group feeding along the riverside.